The Mini 2000 Moisture Meter is the definitive general purpose moisture meter. 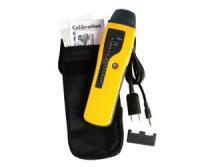 The Mini 2000 series is probably the most widely used moisture meters in the world. These compact, general purpose moisture meters are used by building professionals and trades across the globe, to check the moisture level of wood and masonry products for a vast range of quality control and dampness diagnosis applications. The NEW Mini 2000 incorporates a range of design refinements and features that make it much simpler to use than the instrument it supersedes. The stylish instrument case fits snugly in the hand, so it can be used effortlessly for long periods, and the new display is very bright for visual clarity. If the instrument is inadvertently left on, it switches off automatically after five minutes to conserve the battery life. The instrument combines sympathetic design with optimised functionality. With 20 red Light Emitting Diodes to indicate moisture; Green (dry), Orange (investigate), Red (unsafe); when checking Wood, Plaster & Screeds etc. The Mini 2000 moisture meters are calibrated for wood but are also suitable for measuring moisture levels in other materials. They are highly versatile tools for assessing the moisture condition of a wide range of non-conductive materials. In wood, the instruments measure the material’s actual percent moisture content (%H2O). When testing material other than wood, the meters measure the wood moisture equivalent (WME) value of the material. WME is the moisture level that would be attained by a piece of wood in equilibrium with the material being tested. As the critical moisture levels for wood are known, WME measurements enable the moisture meter user to establish if materials are in a safe, air-dry, borderline or damp condition. BLD5020 Deep Wall Probes – 23cm length. Deep Wall Probes (5018 & 5020) (with insulated stems & bare tips) can detect moisture levels up to 140 & 240 mm Length depth. Supplied in a Canvas (Velcro) Pouch. Hammer Electrode (5000) which penetrates to 37 mm into hard wood is supplied with Extra Heavy Duty needles which have insulated stems & bare tips (in Pouch). Note: Hammer Electrode readings are more meaningful and less destructive than an Oven Drying Test. The oven gives an average moisture content. The Hammer Electrode enables the user to measure the highest moisture content (to 37mm) which is the requirement of most users.